In 2006 WPA2 became mandatory in all new Wi-Fi devices. WPA2 replaced WPA's temporary key with a superior government level security encryption. This upgraded encryption uses AES (Advanced Encryption Standard) thought to be uncrackable at this point. 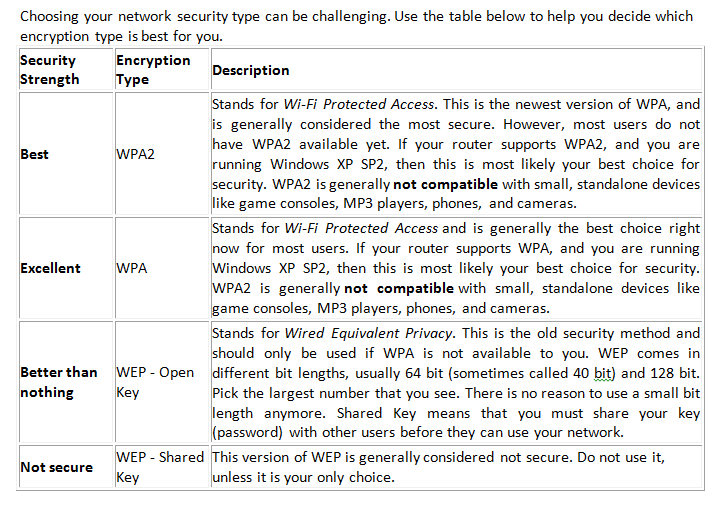 WPA2 is considered very secure. · WPA2-Personal is sometimes referred to as WPA-PSK (Wi-Fi Protected Access Pre-Shared Key). With WPA2-Personal, you set up a password in your router which you share with those you want to have access to your network. This password is entered through the computer or device that is connecting to your Wi-Fi network. We recommend this security mode for home networks. · WPA2-Enterprise is used for businesses only. · WPA/WPA2 Mixed Mode may also be a choice in your particular router. This means your router uses WPA2 if possible but falls back on WPA when needed. Due to WPA2 being a much safer choice, we recommend not using this mode. If you have devices that are not compatible with WPA2, we recommend updating your equipment to better protect yourself against unwanted security attacks. 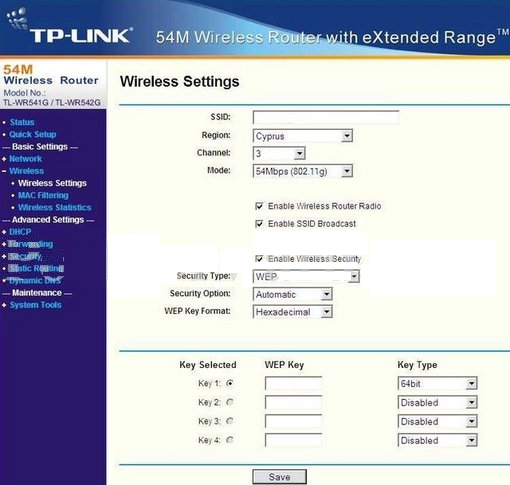 Setting up a Secure Wireless Network with the TP-Link TL-WR541G. 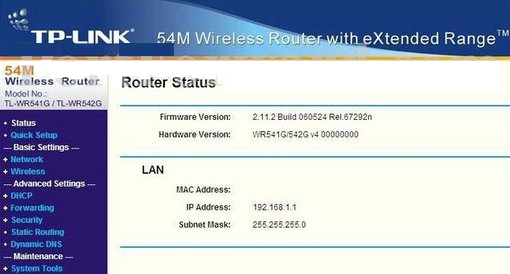 During the Commissioning of Video Product you need to Setting up a secure wireless network, I share only TP-Link Make WR541G product only. In the picture above the address bar has http://arindamcctvaccesscontrol.blogspot.com OR http://www.google.com in it. Just replace all of that with the internal IP address of your router. By default the IP address should be set to 192.168.1.1. Please visit our Default Router Passwords page if the username and password shown below did not work for you. 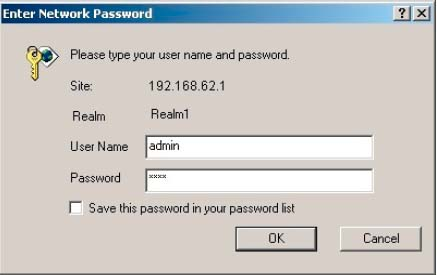 If you can't login to your router because you forgot your router username and password, use ourHow to Reset a Router Password guide to set your router back to its factory settings.